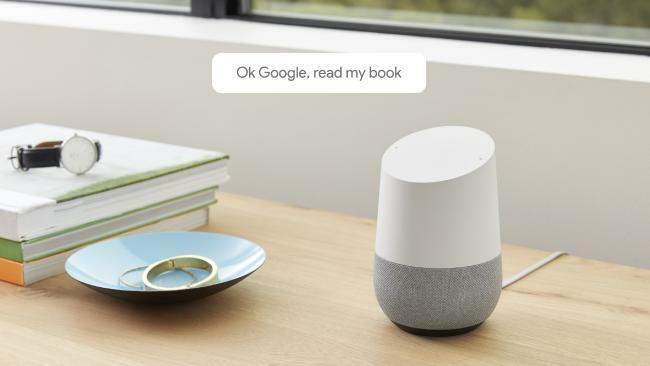 Google will launch audiobooks for its smart speakers and its voice assistant in Australia. 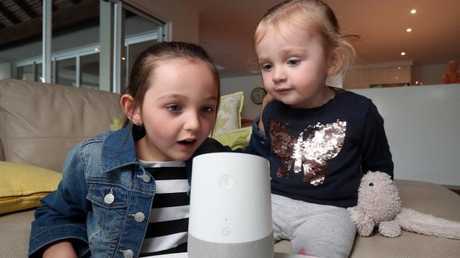 GOOGLE plans to read Australians bedtime stories this week with the launch of audiobooks that can be played by smart speakers, in-car computers, televisions, and smartphones. The technology giant will also significantly undercut its audiobook competitors in Australia and eliminate subscriptions in a move it said had the "potential" to change the way booklovers consumed stories. Google released audio titles in 45 countries this morning, with most books priced under $10 in Australia, and a 50 per cent discount for a buyer's first purchase. 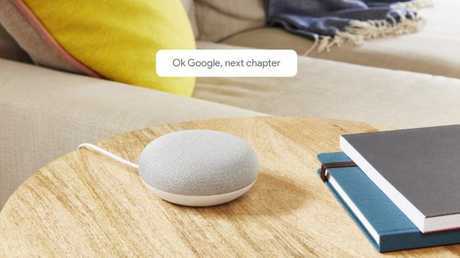 Google’s smart speakers, including the Google Home Mini, will be able to read books to users. Each audiobook will be sold individually in Google's Play Store, rather than as part of a subscription as offered by Amazon's Audible, at $16.45 per month, and Kobo, at $12.99 per month. Google Play Books group product manager Greg Hartrell said the company's latest addition was designed to let readers tune into their favourite stories "throughout their day" using whatever technology was nearest. "Our users were telling us they want to read more but they find it hard to add books to their daily lives," Mr Hartrell said. "When you think about scenarios like bedtime reading or listening to audiobooks with family, with your children, that's where this starts to come in handy." Mr Hartrell said users could play audiobooks through Google Home smart speakers, Android or Apple phones using the Google Assistant app, Android Auto in-car computers, and even Android Wear smartwatches or TVs with Chromecast devices installed. Command will include "read my book," "next chapter," "who is the author," and, if you're falling asleep, "stop playing in 10 minutes". The company will also use machine-learning technology to have the devices announce the title of book chapters. Mr Hartrell said Google Play Books "certainly had that potential" to change the way people approached stories, and achieved their New Year's resolutions to read more. "Print is still the overwhelming favourite for a lot of people around the world to read a book but now we're seeing digital assistants emerge the audiobook could be a really convenient format for introducing books into your lifestyle without having your attention fixed to a page," he said. The Audio Publishers Association said audiobook use jumped by more than 30 per cent in 2016, with 67 million listeners in the US alone. Australia has yet to track audiobook sales but HarperCollins chief executive James Kellow said the market showed "immense growth" as the company partnered with Bolinda late last year.